PIQUA — A Piqua man reportedly threatened to shoot an Piqua police officer while a resident was attempting to gain access to her shared residence on Monday evening. 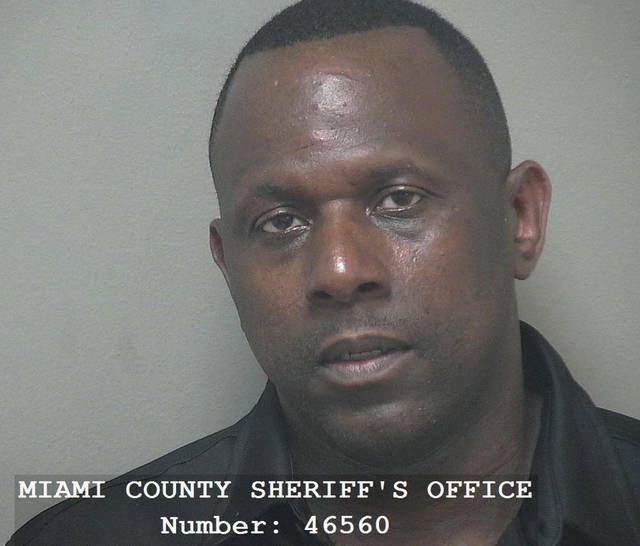 Marlon D. Walker, 43, of Piqua, was charged with two counts of first-degree misdemeanor aggravated menacing, one count of second-degree misdemeanor obstructing official business, and four counts of fifth-degree felony violating a protection order in connection with this incident. On Monday at approximately 6 p.m., Piqua police responded to a disturbance complaint on the 600 block of South Roosevelt Avenue. There was a report of Walker chasing a male juvenile out of a residence and then preventing a female resident from entering that residence. During the course of the female resident attempting to gain access to the residence to remove her belongings, Walker threatened to shoot Piqua police officers standing by to keep the peace, according to Miami County Municipal Court records. After Walker reportedly threatened the officers, one officer attempted to taze Walker while Walker fled the scene. Walker was taken into custody near the scene and was checked for injuries by a medic from the Piqua Fire Department. Walker was arraigned in the Miami County Municipal Court on those charges on Tuesday morning. A preliminary hearing and pretrial conference for Walker are scheduled for Sept. 5. Walker is continuing to be held in the Miami County Jail on a total bond of $8,000. A Piqua man was charged after reportedly wiping away possible evidence of an traffic accident on Sunday. Samuel L. Rupert, 44, was charged with third-degree felony tampering with evidence in connection with this incident. A Piqua police officer was investigating a traffic crash on the 200 block of Broadway Street on Sunday at approximately 3:40 p.m. in which a victim’s red 1999 Pontiac Sunfire was struck. According to court records, there was a possible paint transfer on the suspect’s 2013 Ford F150 trailer hitch that was the same color of the vehicle that was struck. Rupert was incarcerated in the Miami County Jail for the night before being arraigned in Miami County Municipal Court and released on his own recognizance on Monday morning. A preliminary hearing for Rupert is scheduled for Sept. 5.